Let me just say, summer is not my favorite season. It's just so hot! Add being 27 weeks pregnant and it's close to unbearable. That said, there are a few things that make me long for summer and surprisingly enough, they're all food. You can't get a vine-ripened, homegrown tomato any other time of the year and that alone makes the heat worth it. Then there's sweet corn, cucumbers and all the peppers! So I guess summer isn't so bad after all. 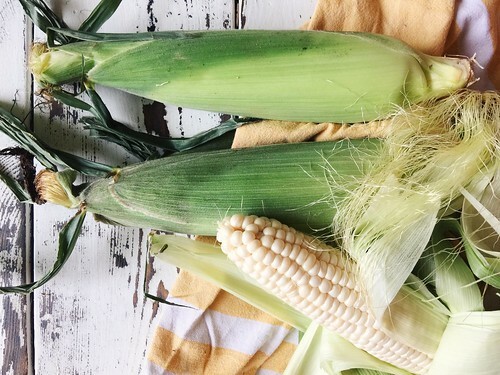 I was recently contacted by Amaize sweet corn to try out their naturally grown white corn and I was so excited because we are big fans of corn and I like that it's non-GMO plus corn is kind of a summer meal staple around here - so obviously I said yes. They sent over about 9 ears and we tried it a few different ways to really test it out. The end result, we are huge fans and will definitely be buying more! It was sweet and crisp and delicious. You can't always get Amaize here in Tulsa but it will be at Reasor's (a local Oklahoma grocery store which also happens to be one of my favorite places to shop) for a limited time. 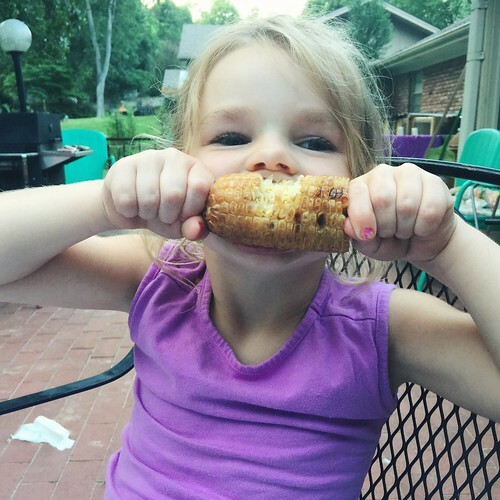 Which is another good thing because after we tasted it, my husband asked where we can get more and if we have to order it - he said it was the best corn he's eaten. So there you go, big Amaize fans now. 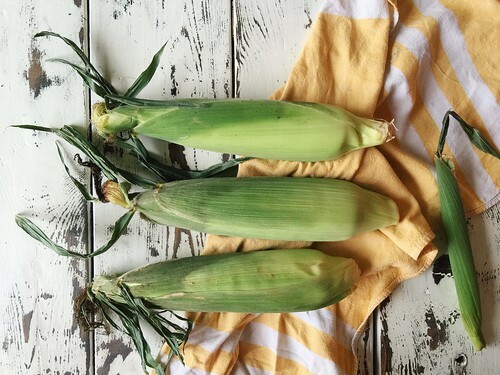 Since we were trying out the corn, I wanted to make it in ways that would really bring out the corn flavor so I'm sharing those with you today. 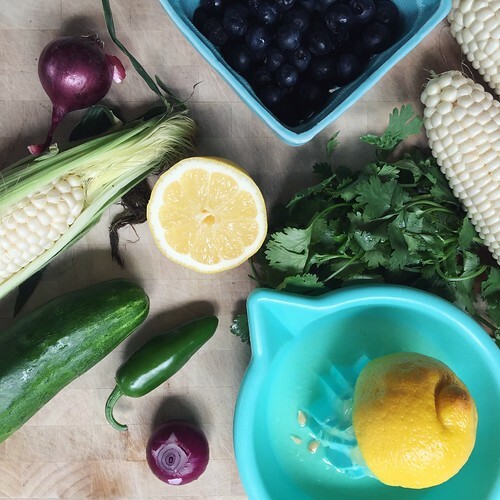 The first recipe, Corn, Blueberry and Cucumber Salad, is one I originally found on pinterest and then slightly adapted. It may sound weird, but trust me on this and make it! 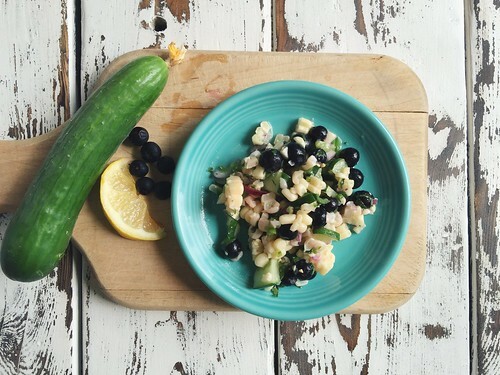 It's a really tasty, summer salad that makes the most of fresh produce and has a really fresh, summery taste. I just eat it by the bowlful and it's also good scooped up on tortilla chips. Plus it's gluten free and paleo-friendly so it's a great side to bring to cookouts or parties so just about everyone can eat it! 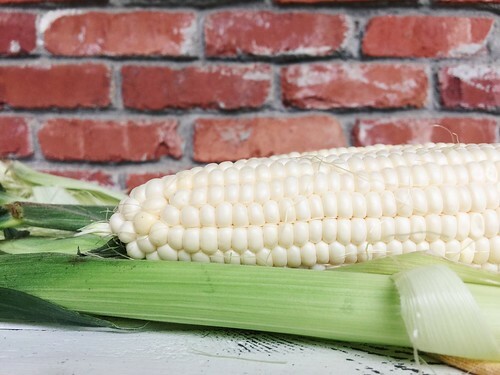 Cut the kernels off the cobs into a medium bowl and combine all salad ingredients. In a small bowl, whisk all sauce ingredients then pour over salad and toss to combine. Refrigerate overnight and enjoy! 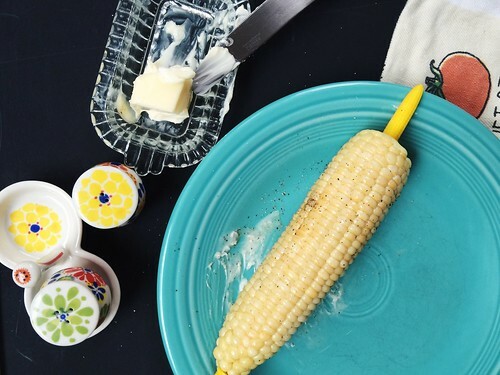 The next recipe is not really a recipe, it's just grilled corn. My husband likes to grill corn without the husks on but if you don't like a browned corn, just leave the husks on while you grill. I roll the cobs in a little olive oil and sprinkle a little salt over them before he puts them on the grill. 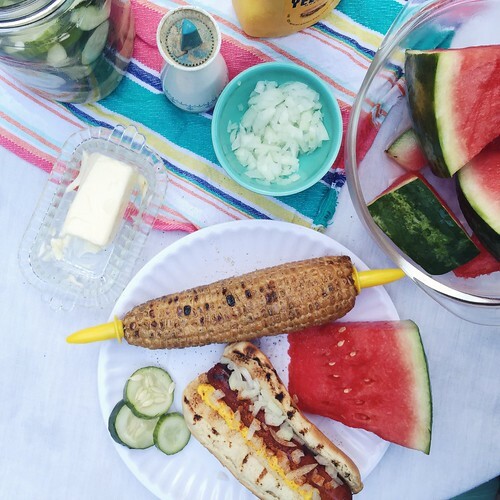 Served alongside some grilled hot dogs, fresh garden pickles and watermelon - grilled corn makes for the perfect summer side! And lastly, it's REALLY not a recipe - just good ol' boiled corn. Corn at it's finest. Cooked in boiling water for 4 minutes and BAM. Crisp, buttery, salty goodness. 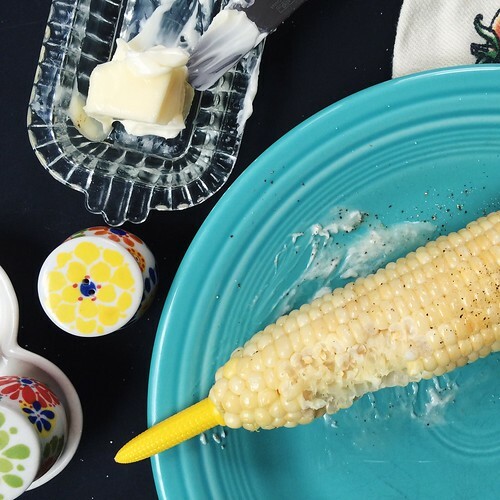 And you really can't beat Amaize sweet corn. For more info, read up on it here and if you're local, run to Reasor's while you it's still here and go ahead and pick up some blueberries and cucumbers and make that salad. You can thank me later. Oh, Lesley, this looks delicious! 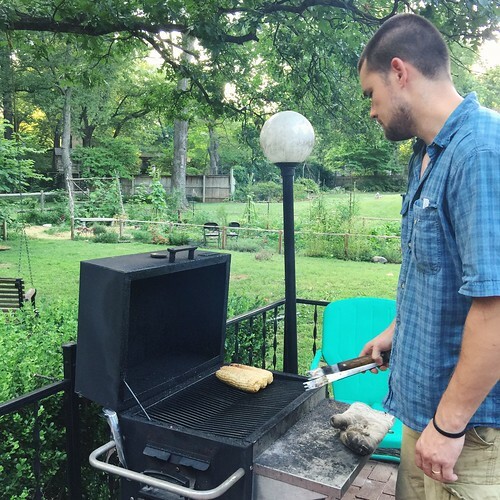 Summer Backyard Garden Workshop - RECAP! Be Crafty Friday Harbor Recap!